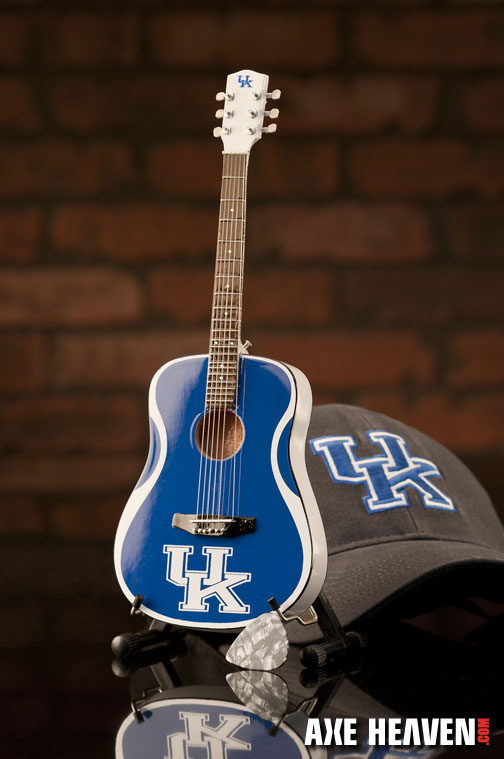 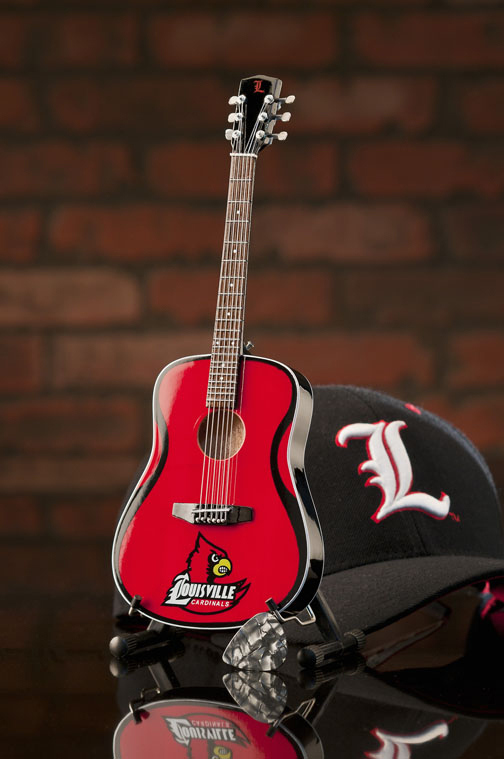 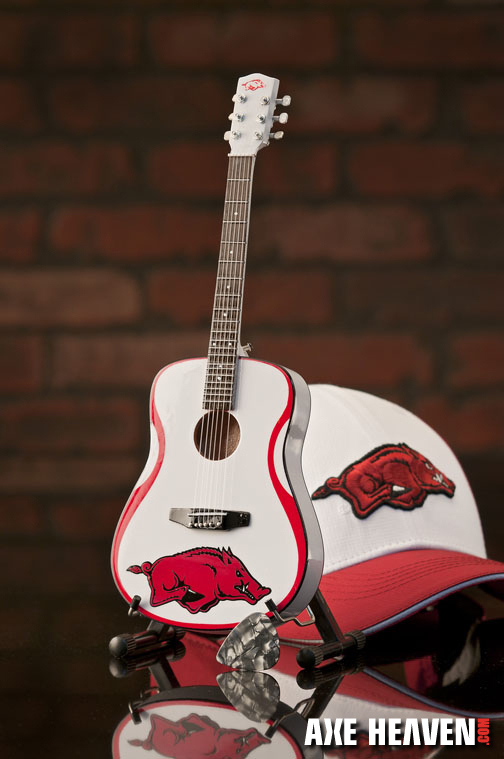 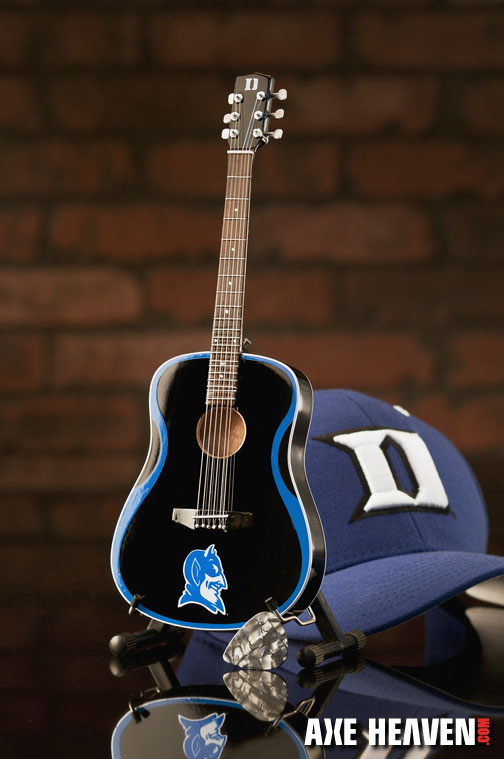 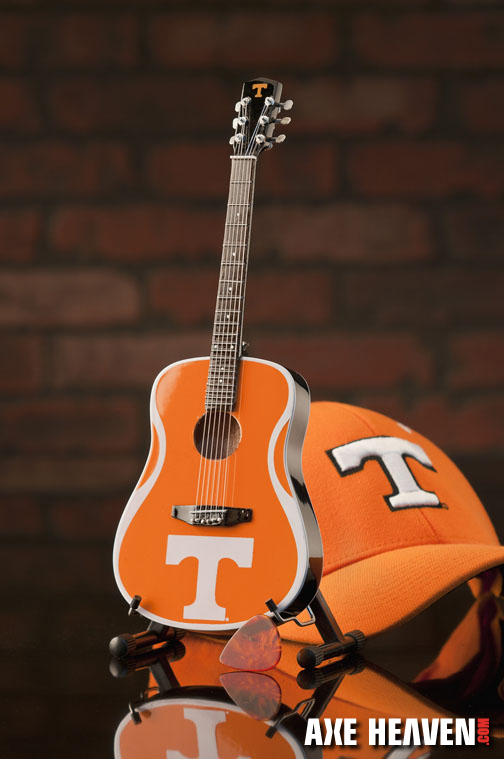 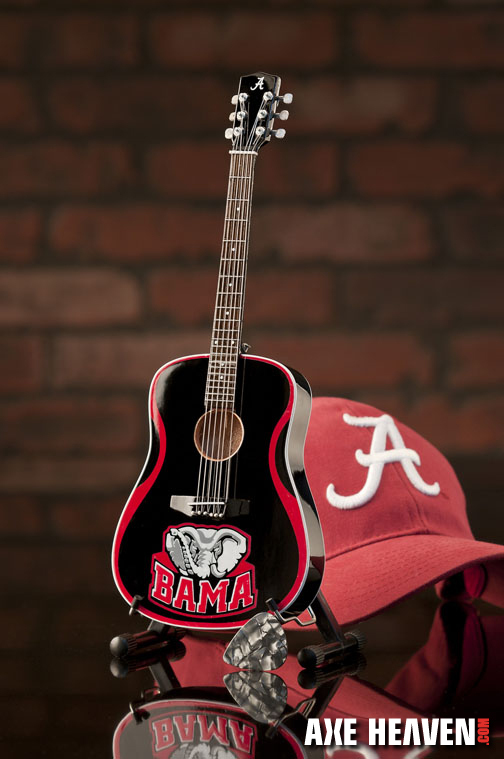 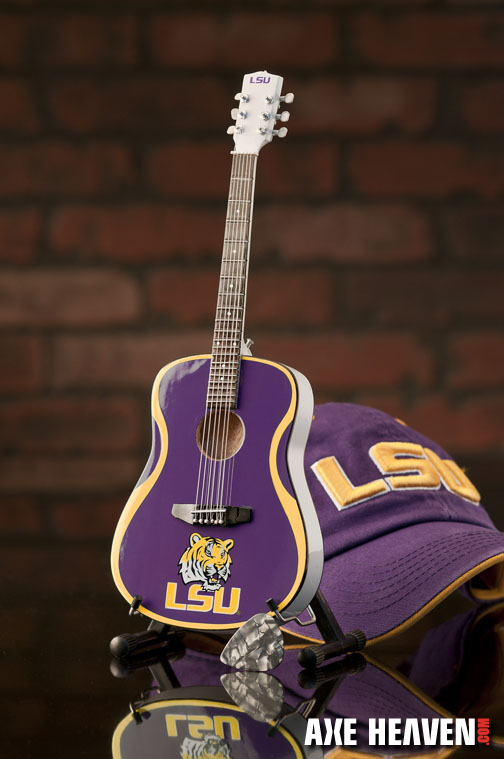 College football and basketball generate as much passion as rock music, so naturally one of our corporate clients combined the two to create a unique set of university / college custom promotional miniature guitars. 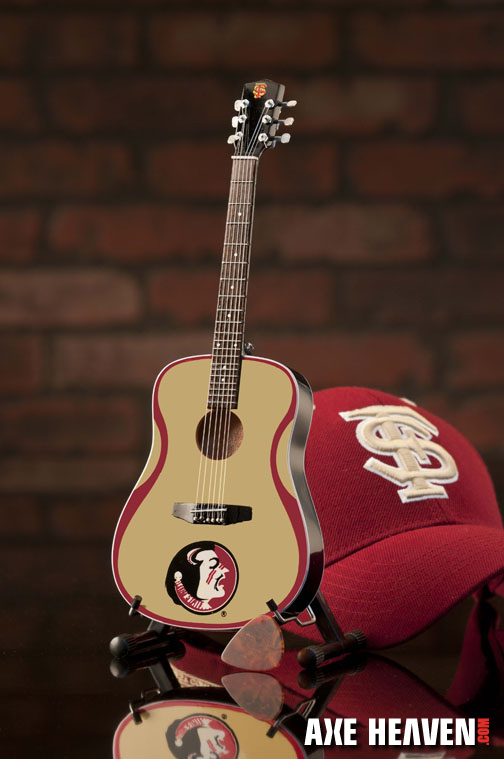 Pictured below are the custom collegiate mini guitars completed for this school-themed marketing project. 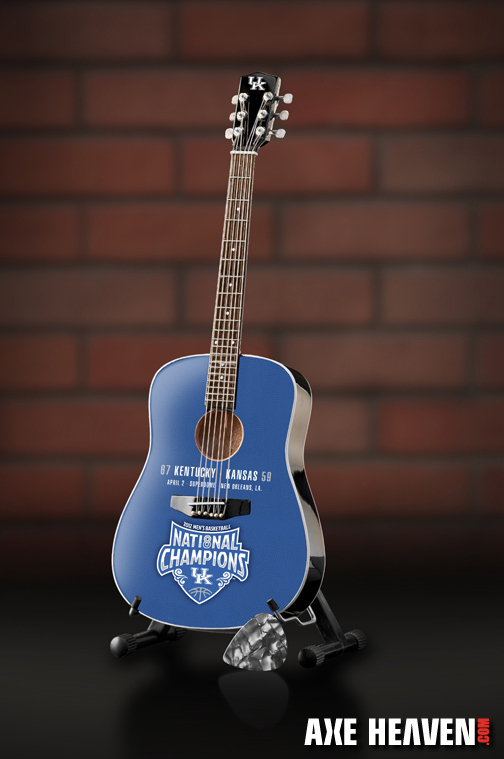 These custom collectible promo giveaways are not for sale, but the project was completed with precise PMS matching on these very small 1:4 scale mini guitars. 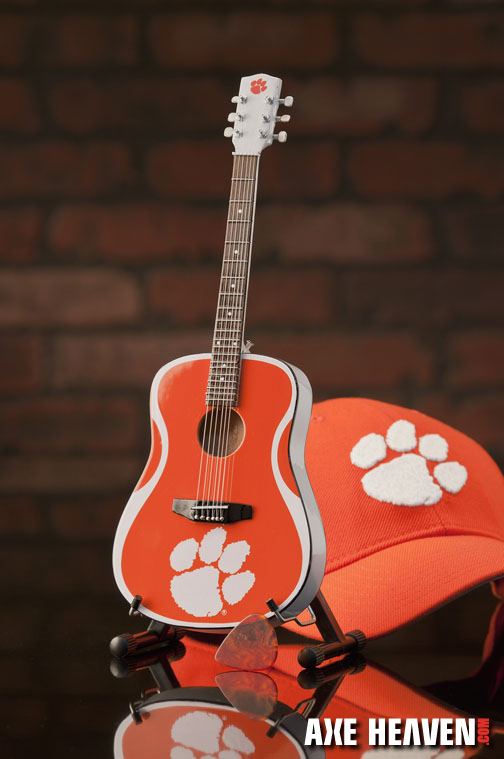 Need promo giveaway ideas? 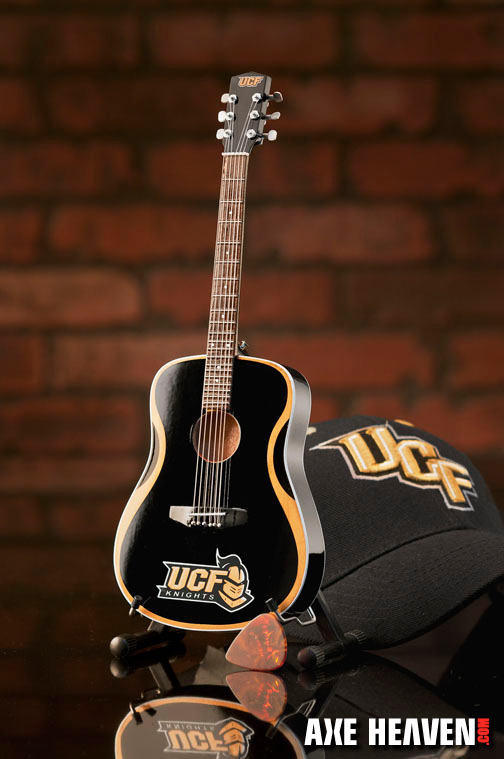 You can’t go wrong with a custom school logo mini guitar promotional collectible by AXE HEAVEN® to commemorate your school or event. 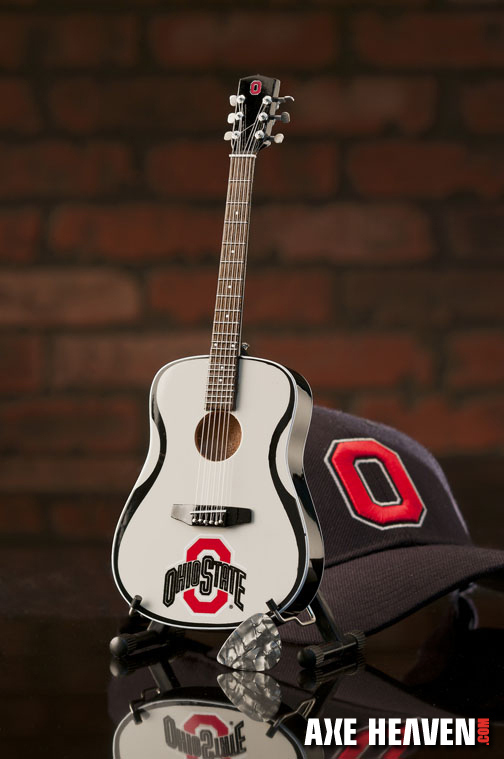 Our unique promotional products are the hottest on the market because they make for incredibly popular giveaway items that usually take a prominent and permanent place on desks and shelves. 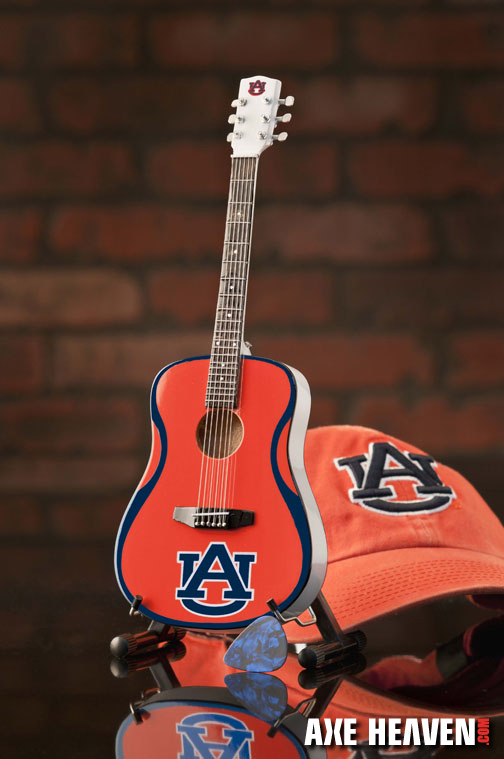 At AXE HEAVEN, we make every mini guitar by hand and take pride in making a product that so many people connect with and love. 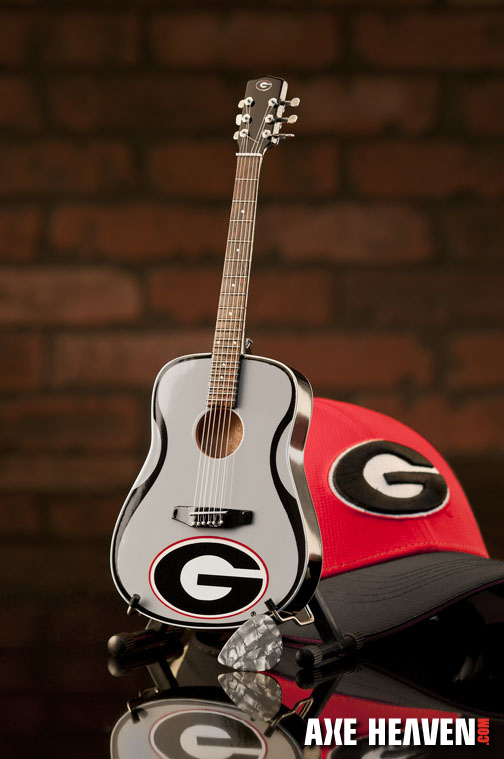 We love guitars. 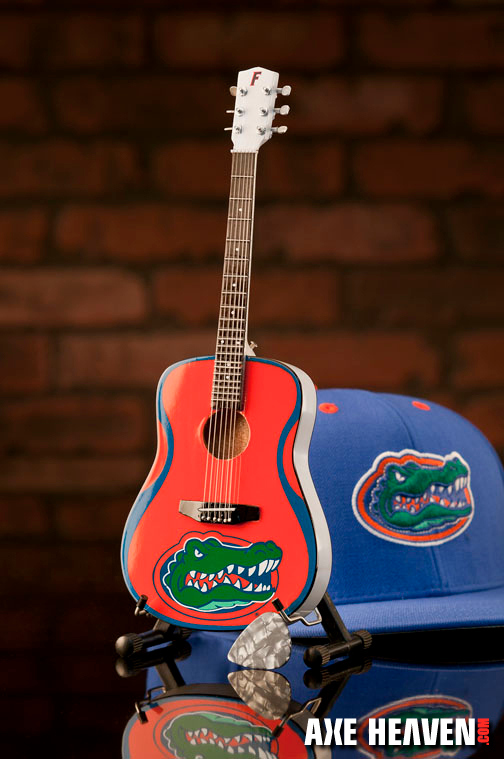 It’s our passion.